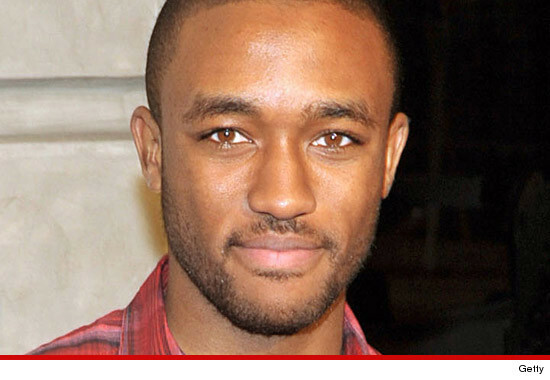 Lee Thompson Young -- who played the main character on Disney's "The Famous Jett Jackson" -- has died after what officials believe is a suicide ... TMZ has learned. He was 29. Sources tell us Young's body was discovered with a gunshot wound that appears to be self-inflicted. Young currently appears in the TNT show "Rizzoli & Isles" -- and we're told when he didn't show up to work this morning, staffers called the landlord of Young's L.A. home to check up on the actor. We're told ... when the landlord opened the door, he discovered Young's body. Young was a rising star in Hollywood. After he made it big as a Disney star, he went on to play running back Chris Comer in the 2004 movie "Friday Night Lights." 1:40 PM PT -- Janet Tamaro, the executive producer of "Rizzoli & Isles," tells TMZ ... "Everyone at [the show] is devastated by the news of the passing of Lee Thompson Young." "We are beyond heartbroken at the loss of this sweet, gentle, good-hearted, intelligent man. He was truly a member of our family. Lee will be cherished and remembered by all who knew and loved him, both on- and offscreen, for his positive energy, infectious smile and soulful grace. We send our deepest condolences and thoughts to his family, to his friends and, most especially, to his beloved mother." 11:40 AM PT -- Lee's publicist confirms the actor killed himself, telling TMZ, "It is with great sadness that I announce that Lee Thompson Young tragically took his own life this morning ... Lee was more than just a brilliant young actor, he was a wonderful and gentle soul who will be truly missed." Good for him punched his own ticket. The only Disney superstars are Kurt Russell and Fess Parker. Lets not forget Britney and Justin! OK, if we also allow Ed Wynn. Ed Wynn was a goddamn superstar!!! Probably a good thing. With a name like that he was destined to be a serial killer...or kill a president. The cropping of the that pic bugs me.